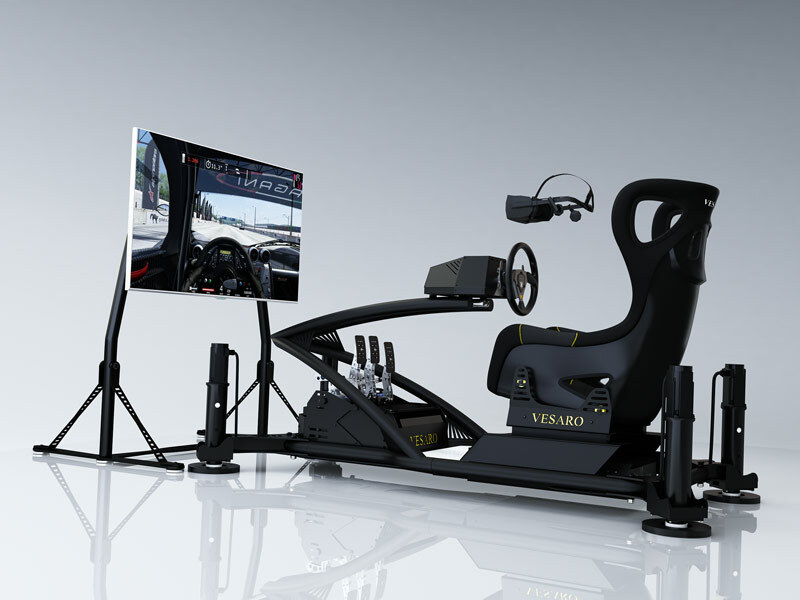 Vesaro Commercial Sim Centre Edition Stage 6. VR simulator pre-configured ready for commercial use by integrating commercial grade heady duty professional control systems designed not only for the ultimate in authenticity and realism but also for continued use in a commercial environment. In addition our commercial simulators come pre-configured with commercial software licenses installed on one of our custom built Vesaro PC systems. Length Information - TV can be wall mounted reducing overall length of simulator to 190cm. Alternatively the display stand can be bridged over the top of the rig reducing length to 190cm.